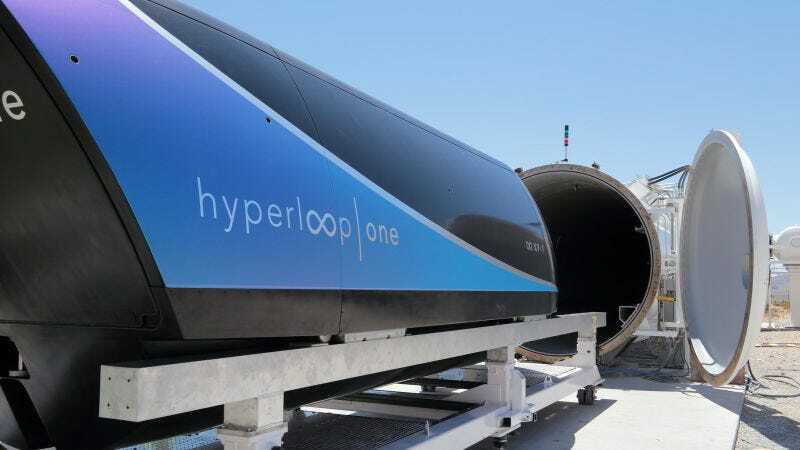 Virgin Hyperloop One is currently courting investment in Saudi Arabia with an eye toward building one of its high-speed transports in the Kingdom. But trouble at the top of the company threatens to shake investor confidence. One Hyperloop director of the board was arrested over the weekend, and on Monday, its website indicated three others were replaced. A list of directors that was updated on the company’s website Monday showed three members stepped down from the 10-person board: Jim Messina, a former adviser to President Barack Obama; Jim Rosenthal, a former Morgan Stanley executive; and Peter Diamandis, founder of X Prize. New board members are Bill Shor of Caspian Venture Capital; Yuvraj Narayan, chief financial officer of DP World; and Anatoly Braverman of Russia’s sovereign wealth fund. In terms of prestige and name-recognition, it’s safe to say that Hyperloop’s board is experiencing a downgrade. One board member that hasn’t changed on the company’s website is billionaire tycoon Ziyavudin Magomedov, but his slot may soon need to be filled because he was arrested in Moscow on reportedly unrelated charges of fraud and embezzlement on Saturday. The company’s general counsel, Marvin Ammori, also reportedly left recently. As for Magomedov, his arrest appears to be unrelated to any business dealings involving Hyperloop. The businesses he owns, like Far Eastern Shipping Co, took hits in Russian markets of up to 21 percent. In Russia, corruption is often seen as a prerequisite to making it to the top of an oligarchical system, and charges like this are regularly assumed to have political motivations. According to Bloomberg, Magomedov denied all charges when he appeared in court. It’s not exactly surprising to hear about trouble for Hyperloop. In recent months, we’ve seen its co-founder, Shervin Pishevar, step down following accusations of sexual harassment. Magomedov was co-chairman of the board with Pishevar before Richard Branson stepped in with an $85 million cash injection and subsequently took over the top board position. On top of those changes, Brent Callinicos, the company’s CFO, and its senior vice president for hardware engineering, Carl Jenkins, departed early last month. Hyperloop is trying to pioneer a complicated business filled with regulatory hurdles, no matter what country it works with. Its technology is still in the testing phase, with a run in December reaching speeds of 240 MPH. The ultimate goal of 700 MPH is still a long way off. And it’s hard to tell if Elon Musk’s Boring Company is a friend to the Virgin Hyperloop One or a potential competitor. That kind of development would certainly be a blow to Branson’s ego as he’s also watched Musk’s SpaceX rocket company chalk up numerous victories while Virgin Galactic has struggled to get its suborbital spaceflight business off the ground. Update 9:20 AM, April 4th: A spokesperson for Virgin Hyperloop One provided additional details regarding the departure of the three board members. We have updated the story to reflect the new information. Correction: A previous version of this article indicated that three board members made their exits on Monday when the company updated its website reflecting the changes. According to a company spokesperson, one board member left in late 2017. It is unclear when the other two board members moved into new roles.